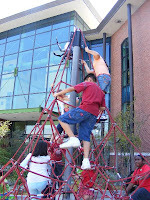 EdVenture is the South largest children museum and one of Carolina’s most attractive family friendly tourist destinations. 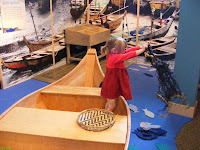 Located in downtown Columbia besides along the beautiful Congaree River and besides the State Museum, this four-story award winning museum will let kids 12 and younder explore the wonders of science, art, medicine, history and culture in a fun and exciting hands on environment. 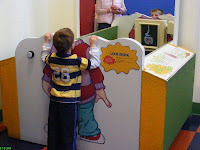 There are more than 350 interactive exhibits. 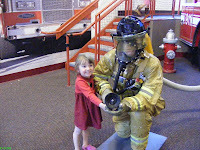 Children can check out a real fire truck, buy groceries, be a farmer, doctor or an engineer for a day; play musical instruments, anchor the news on TV, climb and slide down Big Eddie (the planet’s biggest kid! 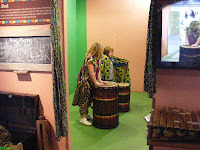 ), navigate the ocean, solve mysteries, study how the body works, and experience other cultures. 1. Go early morning and during weekdays to avoid the big crowds. The museum is open 9 AM to 5 PM (Sunday opens at noon). 2. Start on the 2nd floor. 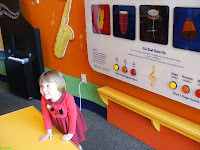 Young kids will enjoy playing musical instruments and explore the seasonal exhibits. 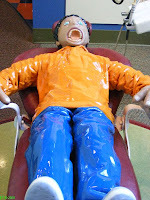 Older kids will be absorbed at the live TV and newspaper stations. There is a quiet play and reading area for babies and toddlers. 3. Get them “exhausted” climbing Big Eddie up and down. That can easily take up to 30 minutes. 4. Catch a snack break at the Clubhouse, open 11 AM to 2 PM (closed on Sunday). 5. Continue your tour on the first floor. Main attraction here is the fire truck. 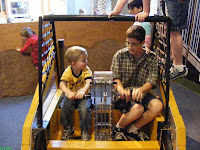 Young kids love to go shopping at the grocery store or play farmer. 6. 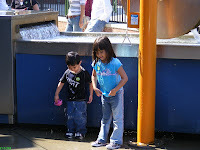 Cool off at the water exhibit outside. They will get wet no matter what you do, but the fun is guaranteed. 7. If there’s still time and energy left drive to the Columbia Riverfront Canal park nearby for fresh air and an amazing walk down the river. 8. For even more educational and truly inspirational activities be a proud South Carolinian at the magnificent State House. You can enjoy for free its fascinating history, outstanding architecture, remarkable sculptures, monuments and Revolutionary War paintings. Nothing like playing live music on TV! Little Beethoven in the making?